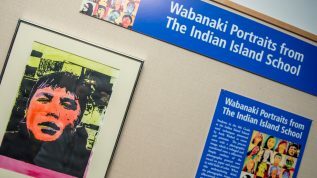 The Native American Studies Program carries out the University of Maine’s commitment to diversity through the comparative study of the cultures, history, and contemporary life of the aboriginal peoples and nations of North America, with a focus on the Wabanaki tribes. As an academic unit, we administer a minor in Native American Studies, open to all students at the University of Maine, consisting of courses offered by the program and by other appropriate departments. 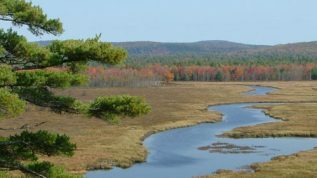 The Program works with other units to promote research on the Wabanaki and other Northeastern tribes. It seeks to acquire and disseminate resources in this area to scholars and educators at all levels, from elementary school to graduate school. 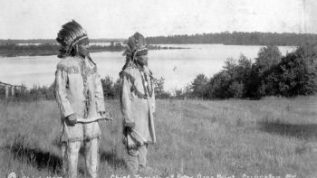 The Native American Studies Program seeks to make knowledge of Wabanaki and other American Indian nations available to the citizens of Maine and beyond through teaching, research, and outreach. The Maine State Bicentennial Conference Committee at the University of Maine seeks proposals for individual papers, complete panels, as well as other formats (e.g., workshops, poster sessions, websites, films, performances) that explore all aspects of the Maine statehood process and the bicentennial. The conference will be held on the University of Maine campus in Orono with a field trip to Augusta. 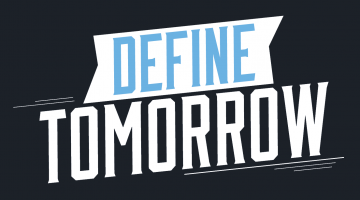 This scholarly conference is open to the public for a nominal fee, and we seek participation from local cultural organizations as well as pre-college Maine teachers and students. 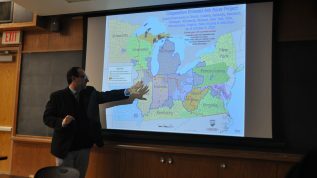 Topics include but are not limited to Wabanaki Sovereignty, Statehood, and the Maine Constitution. Proposals are due by email no later than Sunday, July 15, 2018. For more information please visit The conference’s Digital Commons repository includes links to state bicentennial resources at digitalcommons.library.umaine.edu/me200.